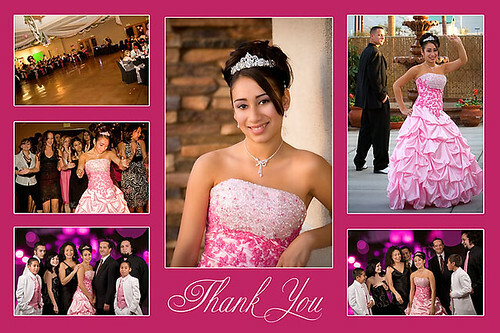 Jacinda Thank You Cards, originally uploaded by swstyles. Shot Jacinda's Sweet 16 back in February. I have just been so busy, I let some of the favor jobs slip through the cracks. Here is her belated thank you cards. We had a blast as AL3 mixed into the night.